Leading in an Agile World – Can We Usefully Redefine Leadership? A colleague of mine recently circulated an email asking several of us to respond to his juxtaposition of leadership and catalyzing, reflecting the notion that the former is passé and the future is ‘catalyzing’ as the key concept. The response was quick and definitive…although “Concepts of leadership are evolving to keep pace with the disruption, transformation, and agility demands of today’s organizations,” as I noted in my last blog, most respondents believe that leaders still need skills grounded in experience while integrating catalyzing skills for existing and future challenges. This I believe is the core of agility: recognizing, mobilizing, enabling, empowering, and sharing leadership throughout the organization so that the culture reflects a blend of human and digital capacity geared toward innovation and collaboration. Now the challenge comes in several forms: the first is that not all companies are equal, in size, complexity, structure, and business model. Some are client or customer centric and have high brand recognition. Others offer specialty products that require strong R&D components to be competitive; while others are service-providers to emerging niche markets. Mixtures of bricks and mortar and virtual POS and distribution are not uncommon. So while the structures and operational priorities may be dissimilar, the missions and goals can be reduced to “make money, keep customers happy, stay happy.” This core of profitability and satisfaction are at the center of how leadership, whatever styles are effective, is exercised. Why “styles?” We learned ages ago that leadership defined by functions can range from directing and evangelizing to coaching and coercing, and at least a dozen more characteristics. Leadership is a shortcut to conflate those traits that enable leaders in whatever context to lean forward, lead from behind, and construct and organizational culture that emphasizes continual innovation, adaptation, and a competitive edge, mirroring Jack Welch, former CEO of GE’s mantra of change leadership. Michael Hamman and Michale K. Spayd put it this way in their White Paper, “The Agile Leader.” “An organization’s agility is not a function of “‘scaling’ current team-based delivery practices…Simply put, agile leadership entails a move from driving to results to creating environments that generate results. Catalyzing in this context is about aligning talent, resources, systems, objectives, and expectations to support agility, so that a catalyzing leader is an agile leader dedicated to mobilizing a coherent, consistent spirit of innovation shared by company teams that have transparent, respectful, reliable, and valued communications with their counterparts in- and outside the organization. One could argue that because of the impact of technology and the yet to be understood tsunami called ‘AI’ that leadership is more difficult in today’s environment. On the other hand, it is also reasonable to point out that leadership in the past did not have the data, modelling options, robust algorithms, and highly developed technologies as learning aides. The uncertainty, complexity, and fluidity of today’s competitive environments, at all levels, demand a differently tuned skill set, which is why sometimes the strong survive, and sometimes they don’t. Change management has to begin within the individual, which is why companies have to seriously invest in driving agility throughout their organization and its processes and relationships. The difference I believe is enabling the agility of leaders, teams, policies, communications, and the workforce to recognize, embrace, and capture change capabilities in order to survive and thrive. For success, mindsets need to be rewired to accept the inevitability of change and the acquisition of skills required to master its impact. These skill sets must extend beyond their particular silos and empower staff to collaborate across boundaries – and be rewarded for it. As employees recognize and accept agility as a means to mobilize and execute, they then become team members whose communications with others both assume and reflect the cultural values of the organization. So for me, this is the role of leadership at all levels: to build consensus and collaboration around company strategies and communications that build agility internally and in its external relations. 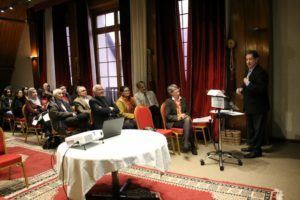 http://www.abinaderadvisoryservices.com/blog/wp-content/uploads/2018/08/leadership-team-meeting.jpg 408 612 Jean AbiNader http://www.abinaderadvisoryservices.com/blog/wp-content/uploads/2018/05/AbiNaderLogo1-300x103.png Jean AbiNader2018-08-22 20:08:112018-08-22 20:08:11Leading in an Agile World – Can We Usefully Redefine Leadership? Or will age-old stereotypes relegate them to secondary roles? But I believe that the emphasis across the region on building up women on entrepreneurs will only bear fruit if the term applies broadly to women who create and run small and medium-size enterprises as businesses as well as their counterparts engaged in IT, programming, hi tech, and similar sectors where entrepreneurs tend to concentrate. Digital platforms that are the backbone of many high-tech projects are one option for enabling women to spend time both at home and on the job. For example, “these digital platforms allow women to be unimpeded by cultural constraints or safety issues and lowers the implicit and explicit transaction costs of transportation, child care, discrimination, and social censure,” according to the IFC article. So it makes sense that the emphasis should be three-fold: opportunities for women at the community level through initiatives in traditional areas of crafts, niche foods, and specialty items (think argan oil and Zaatar); building ecosystems at the high end for university graduates who are well-versed in the digital economy and may apply those skills to upgrading those women at the community level (e.g. https://www.asilashop.com/, or http://deden.co.uk/heritage-natural-soap-by-tradition/), and those in-between who are eager to be active in their local economies and will excel if given training, resources, mentoring, and encouragement. http://www.abinaderadvisoryservices.com/blog/wp-content/uploads/2018/08/Arab-women-textiles.jpg 408 612 Jean AbiNader http://www.abinaderadvisoryservices.com/blog/wp-content/uploads/2018/05/AbiNaderLogo1-300x103.png Jean AbiNader2018-08-06 21:34:242018-08-06 21:34:24Can Promoting Arab Women as Entrepreneurs Make a Difference? Investing in women, who make up the majority of the population, is a necessity as well as a great idea! There is little doubt that Africa will witness rapid yet uneven economic and demographic growth in the next 20 years. Information from multiple sources indicates that its rise can positively affect the global economy by introducing a decisive regional economic force that must be reckoned with. The very steps that will enable this progress such as the African Continental Free Trade Area, widespread investments in communications, transportation, and distribution infrastructures, a greater emphasis on advancing agro-industry, and broad changes in education systems to prepare market-ready graduates to fuel the continent’s rise, are lagging. This is not new. Since the last century, Africans from diverse communities as well as thought leaders have lamented the lack of coherent strategies in individual countries, regional groupings, and Africa at large that address shortcomings identified by governments and multilateral organizations. The wide disparity among African nations, in terms of GDP, PPP, literacy, gender ratios in education, the workforce, and professions, and continuing concerns with inclusion, corruption, social and health services, and rule of law, aggravate constraints to continent-wide growth. And one cannot overlook the consequences of hundreds of years of dividing Africa north from south, east from west, and other consequences of its difficult history with outside powers and regional rivalries. Women outnumber men both in the older age groups and those just entering school so investing in girls and women as full partners in the economic future of the continent makes good business sense. A good place to start is focusing on women across the business spectrum because that would create multiple returns by enabling and empowering entrepreneurs and enterprises across many sectors rather than largely focusing on high-end technology and programming. This is also consistent with initiatives that upgrade the health and well-being of Africans, which is a key goal of the UN Sustainable Development Goals adopted by all of the African countries. And it is critical that the international community work in partnership with countries and communities to combat the debilitating conditions that challenge the continent’s future. To be clear, again looking at the disparities in education, income level, structure of economies, and other factors that differentiate the university graduates from the semi-literate farm and harvesting people, countries need to expand programs beyond urban areas and services and move aggressively to shore up the agricultural sectors that represent the largest percentage of many national GDPs. There are some significant projects that already exist that can serve as models for other countries. It has been suggested that marrying innovative technology programming skills with applications to agri-business may yield mutual benefits to upskilling both IT and agriculture workers. The challenges for entrepreneurs and business owners are similar for men and women but are compounded by various norms that disproportionately affect women. The World Bank and the UNDP have worked for several decades to promote women in business through a variety of projects and programs but the problem begins with the legal systems that discriminate against women on social, cultural, and religious grounds. The World Bank has launched an index measuring a country’s legal system vis-à-vis how women in business are impacted. Sarah Iqbal, Program Manager of the Women, Business and the Law Project at the World Bank noted that “Progress in Sub-Saharan Africa is heartening. Despite the myriad challenges facing the region, many governments are working to rescind laws, often holdovers from the colonial era that discriminate against women. We believe that if you change the law, you change the world and we look forward to recording further progress on women’s economic inclusion in Sub-Saharan Africa.” Her optimism reflects the fact that fully one-third of all reforms carried out globally were in sub-Saharan Africa, a total of 34 reforms with DRC, Kenya, Tanzania, and Zambia among the leaders. The full report and accompanying datasets are available at http://wbl.worldbank.org. 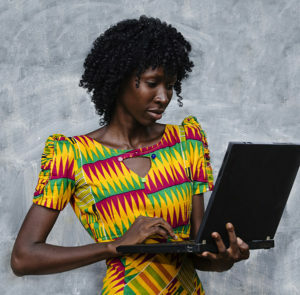 African women in the workforce is a continuing topic among World Bank bloggers. A recent blog put it quite well. “Walk around a major city in Sub-Saharan Africa and you will quickly realize that women are a highly visible part of the economy, selling all manner of products and services. In some ways, women are powering the economies of the continent to a greater degree than anywhere else in the world; Sub-Saharan Africa is the only region where women make up the majority of self-employed individuals.” That bears repeating, women are the majority of small-business owners in Africa…that is why efforts to promote women in business must be broad-based to be inclusive of their efforts across the economy. In multiple studies, it is clear that despite gender inequality, progress in opening up the business space by empowering and enabling women can be transformational for Africa. Limitations that must be dealt with were described in a posting in Africa.com. Some of the unique challenges facing women include limited access to funding, a lack of mentors to provide guidance, stereotypes that block women from being accepted as experts and supervisors, self-limiting factors that discourage self-confidence and innovation, and social norms that continue to support male dominance in economic affairs. Ironically, studies in micro-finance/credit and banking show that although “Women manage their credit better than men, the former still find it harder to obtain funding than the latter. A study by the African Development Bank finds that the financing gap for women in Sub-Saharan Africa is estimated at above US $20 billion, and younger women struggle the most. According to the 2014 Findex report, only 30% of women in sub-Saharan Africa have access to bank accounts.” This statistic shows the importance of empowering women through financial inclusion. As more and more resources are invested in African women in business, the continent will reap the benefits of empowering the majority of its population! In the past few years, it has been instructive to see the achievements of Fair Trade Lebanon (FTL), an organization dedicated to empowering rural communities and women’s organizations through economic development. At a time when a great deal of attention is focused on megaprojects to advance Lebanon’s economy, FTL works at the local level to change how people build their futures. Given the well-known attraction of Lebanese food products both at home and abroad, FTL came up with the idea of encouraging local cooperatives and farmers to produce food items for local consumption and export with a fair trade certification. Initially directed at the overseas Lebanese, FTL now exports to over a dozen markets. I caught up with Philippe Adaime, FTL’s CEO on a recent trip to Washington, DC and asked him to give ATFL a report on their progress in 2017. Here is his report. In a country with regionally displaced populations of refugees, facing socio-economic pressures, and increases in unemployment and political instability, Fair Trade Lebanon (FTL) has been able to implement and manage 7 important projects in 2017 and impacted 2,500 jobs. These projects benefit first the host communities and farmers who are the backbone of the rural areas, and includes efforts to help refugees deal with their uncertain future by generating employment opportunities and the seeds for business development. In 2017, FTL supported 35 women cooperatives and group of farmers to improve their production in order to access local and international markets. In fact, 19 cooperatives received 40 pieces of new equipment and supplies that benefitted more than 540 people. In addition, 1,000 men and women benefited from a MEPI-funded project (A US foreign assistance program) – a number that doubled in 18 months of activities – through the organization of 187 training sessions to support cooperatives and Small and Medium Enterprises (SMEs) in improving their production. As a result, cooperatives and SMEs within the FTL network saw their sales increase by up to 40%, which affected 500 new jobs among 20 business units. Furthermore, this improvement in production and increase of sales led to an addition of 15 new points of sales in Lebanon and 2 new importers. Currently, 35% of FTL’s producers’ production is meant for export; 13 units are certified organic, and 4 obtained the FLOCERT certification, which indicates that they have met international standards for fair trade. Regarding refugees in Lebanon, FTL supported 900 vulnerable women from host and refugee communities through specific food processing training (preserves, catering, saj), and insured that 55% were Lebanese and 45% Syrian. FTL organized 390 training sessions related to food processing, hygiene, marketing, pricing, and event management. Importantly, 12% of these beneficiaries were youth. FTL linked 300 Lebanese and Syrian to the private sector by enrolling them in a 2-months internship program where 12% where able to find a decent job. In 2017, FTL intensified its work in Akkar with a group of 30 dedicated Lebanese and Syrian women who established a cooperative in Khreibet el Jundi, and their products can now be found in the well-known Topline supermarket in Halba. FTL’s target in 2017 expanding its domestic network by organizing 33 awareness sessions in mainly schools and universities reaching 1,300 students. In order to revive and promote authentic Lebanese cooking practices, FTL developed the concept of “make your own saj” and adopted the “shop in shop” channel to get closer to consumers. This created 12 new jobs and revenue of 8,000 USD per month of selling saj. Concurrently, FTL launched a media campaign all over Lebanon through offline and online platforms, which reached 3,000,000 people all over the country and 18,000 followers on Facebook. FTL took part in 22 events in Lebanon and abroad to promote fair trade practices and market the cooperatives’ products. FTL also attended the World Fair Trade Organization conference in India, where it strengthened strengthed its partnerships with fair trade actors from other countries. Finally, 2017 was marked by two big events. First, FTL organized the World Fair Trade Day in Lebanon with 2,000 attendees, 45 products exhibited, and 15 live stations to cater friends and supporters. Secondly, in partnership with the Lebanese Embassy in Washington DC, FTL organized an event at the Embassy’s residence under the theme “Authentic Lebanese Culinary Products” where FTL presented its mission and the wide range of products from “Terroirs du Liban.” Over 400 guests attended this event, including 10 importers and 5 media representatives who were greatly impressed with the quality of “home-made” Lebanese products now available in the US. With a fair and ambitious motto “from good to great,” FTL looks back at 2017 with a feeling of satisfaction and yet a feeling of thirst to grow and inspire everyone they come across. Follow this link to see where FTL works all over Lebanon and this link to see the many products available. My first training assignment in Jordan was with the AMIR 2 project in 2002. The emphasis at the time was on the ITC sector and its applications from e-government to health care, transportation, education, and communications, among others. Being an entrepreneur then was thought possible due to the low cost of entry and relatively easy access to Internet marketing. Startups focused more on obtaining needed broadband and programming equipment than investors with deep pockets. Jordan was a pioneer in building the IT sector and spreading it throughout the region. Today, the emphasis on entrepreneurship continues to be a constant message to young people. Yet times have changed, and we need to rethink whether or not conditions are still favorable to entrepreneurs and whether or not they can create the jobs needed to offset some of the country’s employment needs. Successful entrepreneurs exist because of three sets of factors. The first is a supportive eco-system: infrastructure, financing, available human resources, market access, positive regulatory environment, and an opportunity-driven marketplace. The second set focuses on scale of opportunity and the competition: entrepreneurs make profits, reinvest in their companies, attract new financing, and survive in a competitive environment driving more growth. These two groups of factors characterized Jordan’s early IT successes but eventually led companies to set up facilities abroad, mostly in the Gulf, since Jordan could not keep up with incentives offered elsewhere. Today, the third set, related to sustainability, is difficult to achieve in Jordan since the IT market is largely saturated by local and foreign firms, leaving an uncertain future growth in the technology sectors. Workforce demand, reflecting Jordan’s growing population, no longer favors university graduates and engineers but has many opportunities for those who can wed technology with more technical and vocational skills in services, manufacturing, assembly, and productive sectors. So a useful question is “Can Jordan, with its well-developed human IT capacity, power non-IT based employment?” Yes, if one sees IT as a tool and enabler for driving non-high technology entrepreneurship. The key is empowering human capital to use IT for achieving market access for newly configured products, aggregating services for rapid, customer-centered delivery, and improving traditional manufacturing and production operations. IT in the hands of semi-skilled yet aware vocational and technical skilled labor can be used for setting up plumbing and HVAC service companies, home health care and maintenance services, as well as catering and hospitality services, among opportunities. All can become efficient and profitable using IT tools, and it is a very rich area for marrying entrepreneurial skills with talented labor. As importantly, entrepreneurs using IT solutions can provide numerous training and education programs to integrate and improve the quality of the workforce, either for their own staff or for employers committed to making investments in people and processes. Using IT to grow companies that blend university and vocational graduates to enhance service delivery or improve manufacturing processes is a good starting point for a new brand of entrepreneurs. Another area of great promise where IT can facilitate job placement and a road to entrepreneurship is certification for skills acquired through experience. There are numerous European models that use hands-on testing aided by technology assessments to measure the competence of workers who lack high literacy levels. Certification programs are especially critical in a country like Jordan where more than 60% of the workforce is in the informal sector and the small member companies of the Chambers of Commerce and Industry, some 70,000 firms, have five or less employees. Entrepreneurs can figure out how to drive this competency-based training and work with micro and small enterprises (MSEs) to develop strategies for upgrading and providing more predictability to their marketing and production. This will strengthen the middle stratum of businesses, growing the SME contribution to GDP. And this brings us back to the original set of conditions for successful entrepreneurship – an eco-system that is user friendly. Bottom line – Jordan has to rethink and recalibrate what it means by entrepreneurship and motivate the unemployed and underemployed university graduates to utilize their IT skills to develop solutions with MSEs to relaunch the lower 90% of the Jordanian economy. This partnership would redefine entrepreneurship beyond high tech applications and instead bring IT back to its roots as a facilitator for growth through more efficient processes. Entrepreneurship cannot be viewed solely as the preserve of the brilliant and the educated. It is the achievement of aspirations through a combination of luck, timing, passion, and workable ideas. Jordan needs some great ideas now, and bringing together those with IT skills and others with hands-on talents to provide solutions utilizing vocational and technical jobs and processes can only benefit the country as a whole. A very interesting series of studies is being produced by the CSIS Youth, Prosperity, and Security Initiative and the International Youth Foundation (IYF), a partnership that focuses clearly on global issues affecting youth, “Exploring the near- and long-term economic, social, and geopolitical implications of youth development trends around the world,” according to its website. The partners work covers a variety of topics ranging from The Global Youth Wellbeing Index to CSIS-generated country and region specific studies. This recent panel, convened by Ritu Sharma, Senior Visiting Fellow for the Initiative was on “Scaling Youth Employment in the Middle East.” The panel featured Mohammad AlMbaid, IYF Country Director for Palestine; Jon B. Alterman, CSIS Senior Vice President, Zbigniew Brzezinski Chair in Global Security and Geostrategy, and Director of its Middle East Program; and Zeenat Rahman, former Special Advisor to Secretaries Clinton and Kerry on Global Youth Issues. All countries in the Middle East and North Africa (MENA) region have growing demographic pressures to create jobs and face of declining economic growth, weak educational systems, and mismatched education to employment outcomes. There are cultural challenges to promoting youth employment ranging from gender discrimination to attitudes towards manual skills jobs. University graduates are disproportionally affected with unemployment rates often 3 x that of the national average. There are no one-size fits all solutions. Although the overall challenge of generating jobs quickly without relying on the public sector is common, other national factors influence policy options, implementation strategies, and definitions of desired outcomes. Morocco is a useful case study on all four themes. It has a growing population, indeed 50+% of the population is under 30. Despite its success in attracting significant investments in the manufacturing sector, creating some 300,000 jobs in the automotive sector alone in five years, it still faces a gap in the educational system’s capacity to effectively train qualified labor. Its greatest success has come through public-private partnerships, yet it is still not enough. Moroccan youth, accustomed to seeing previous generations taken care of by the government, are reluctant to enter into the uncertainty and discipline of the private sector. Although this is slowly changing, cultural factors often restrict a woman’s ability to find meaningful work and condition males to resist certain types of skilled jobs. This is particularly critical for university graduates where the 30% unemployment rate reflects not only a lack of white collar jobs but resistance to vocational/technical alternatives. 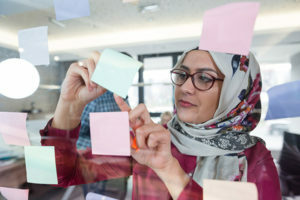 While Morocco does not have the resources of the Gulf countries to build and equip educational and training facilities, it has successfully recruiting tens of thousands of young people for manufacturing, services, industries, and technology jobs by promoting the benefits of skilled labor, how jobs can evolve into careers, and providing support for entrepreneurs. Yet the sheer numbers of youth, as evidenced in the focus of the panel on “scaling youth employment,” remain significant. Building on this point of demographic pressures, Jon Alterman pointed out that public sector employment is often a stability issue – a means of insuring citizens’ loyalty. When government jobs are no longer available, threats to stability rise and issues of tradeoffs in the short term between security (managing conflict and unrest among youth) and stability (distorting the national economy through excessive non-productive government employment) become paramount. Equally “challenging,” Alterman mentioned, is developing effective strategies for changing attitudes toward job preferences, from no-risk subsidized government jobs to greater reliance on private sector employment tied to local, national, and regional markets. Mohammad AlMbaid related how, after extensive surveys, IYF decided that university graduates would be the focus of their initial programs in Palestine. They work with a majority of the universities in Palestine to provide “life-skills training” for graduates to enable them to acquire those soft skills necessary to survive and advance in today’s workforce. Early results show that graduates of their courses are employed at 2x the rate of others who did not have the course. IYF is expanding its programs to vocational schools and works with the Saudi government to implement similar programs in the Kingdom. Zeenat Rahman noted that the US government, beginning with Secretary Clinton, became involved in global youth affairs reflecting from President Obama’s concern that young people in many countries had literally no relationship to the US due to political conditions. Both Secretaries Clinton and Kerry focused a great deal of effort on youth programs, sensing that this was an opportunity to engage youth beyond counter-radicalization efforts to enabling them to take control of their futures. A key selling point, she said, was learning to address these issues from the self-interests of the partner countries rather than US prescriptions. The discussion that followed was quite robust as most of those present have experience in youth employment efforts and lent their well-honed perspectives on workable strategies. There was broad agreement on the importance of shifting attitudes among youth toward skills-centered jobs; emphasizing “in-trapreneurship” based on life-skills that enable youth to make the most of their employment choices; the need for both top-down policies and grassroots programs for long-term effectiveness; and the need for more holistic approaches in education to produce better qualified and focused youth. No one left with a sense that the job was done. As Rahman pointed out, there have been numerous and thorough studies globally of the youth employment phenomenon. What is much more challenging is implementing solutions that are sustainable, scalable, and timely, supported by public-private partnerships. It is, after all, in their core interests to enable youth to believe in their futures.